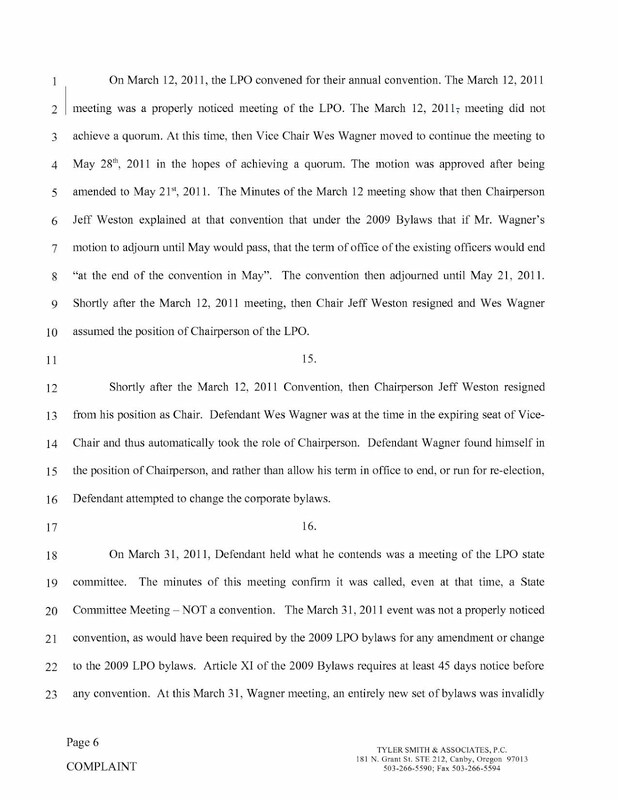 Jesse Ventura, the former professional wrestler, who won election as Governor of Minnesota as a member of the Reform Party in 1998, is continuing his lawsuit against the widow of “American Sniper” Chris Kyle, who was murdered earlier this year. 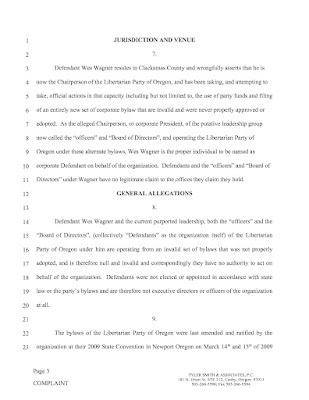 This entry was posted in Independents, Libertarian Party and tagged 2016 LP Presidential Nomination, Jesse Ventura, lawsuit, Libertarian Party presidential nomination 2016, Minnesota, Reform Party on June 17, 2013 by William Saturn. 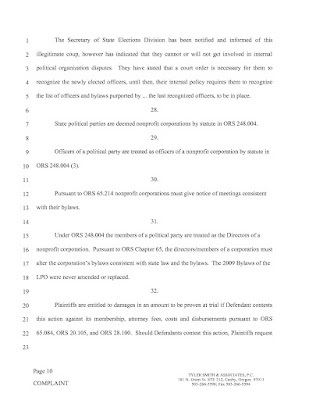 ALEXANDRIA, Va. — Setting the stage for a groundbreaking First Amendment test of campaign finance law, federal judge Robert L. Wilkins certified to the United States Court of Appeals for the D.C. 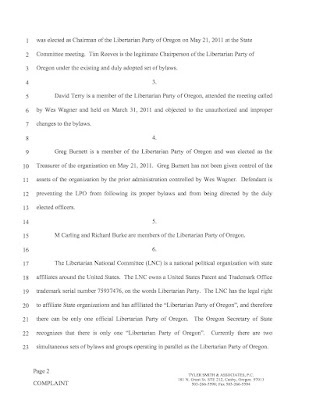 This entry was posted in Libertarian Party and tagged lawsuit, Libertarian Party on March 20, 2013 by Krzysztof Lesiak. 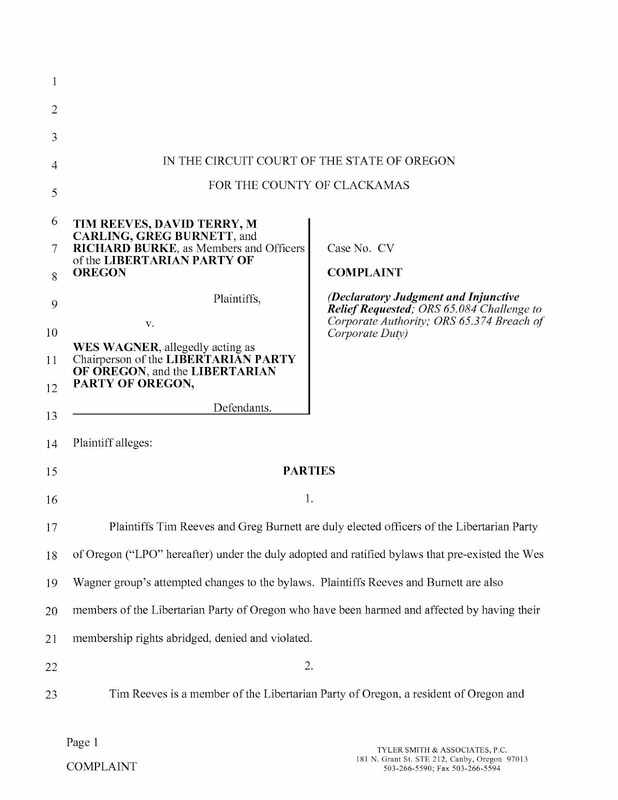 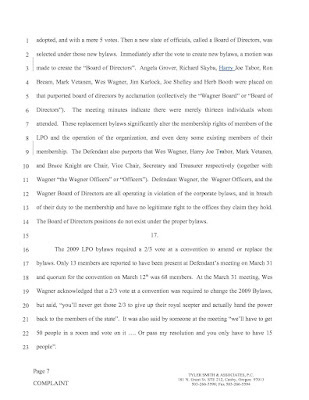 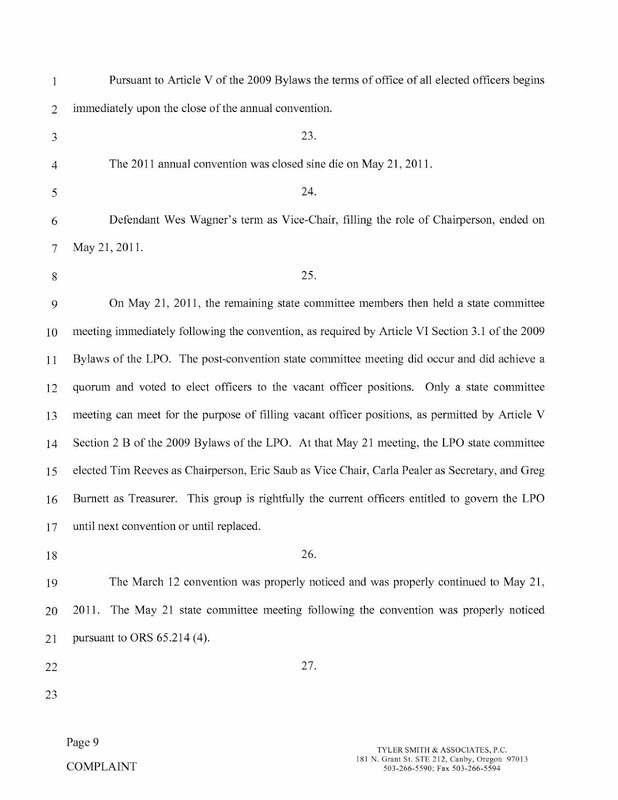 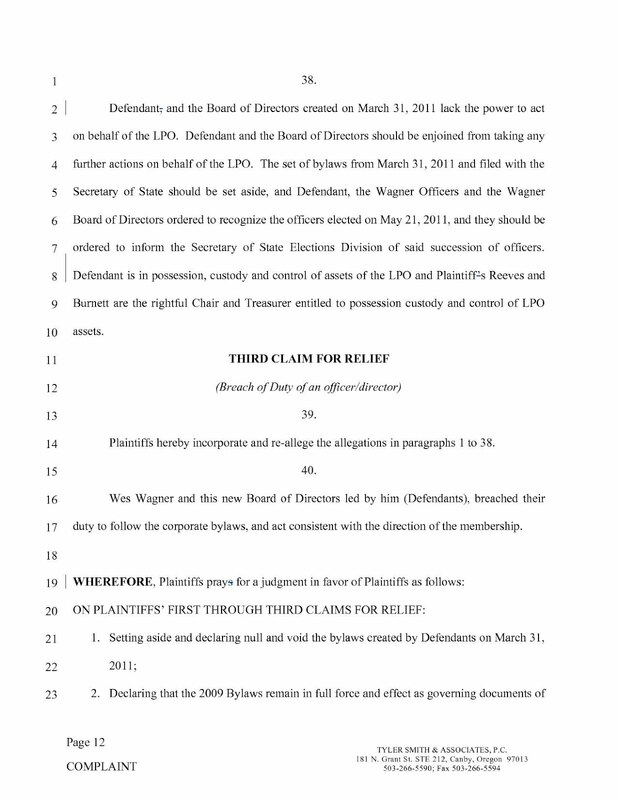 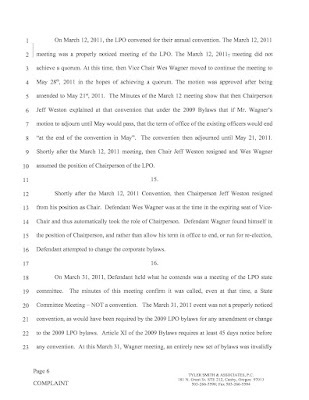 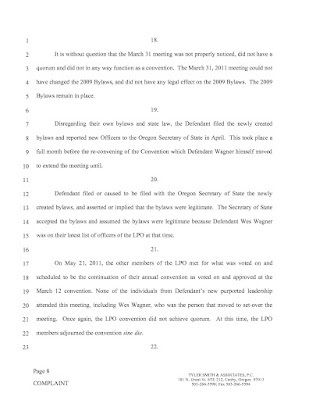 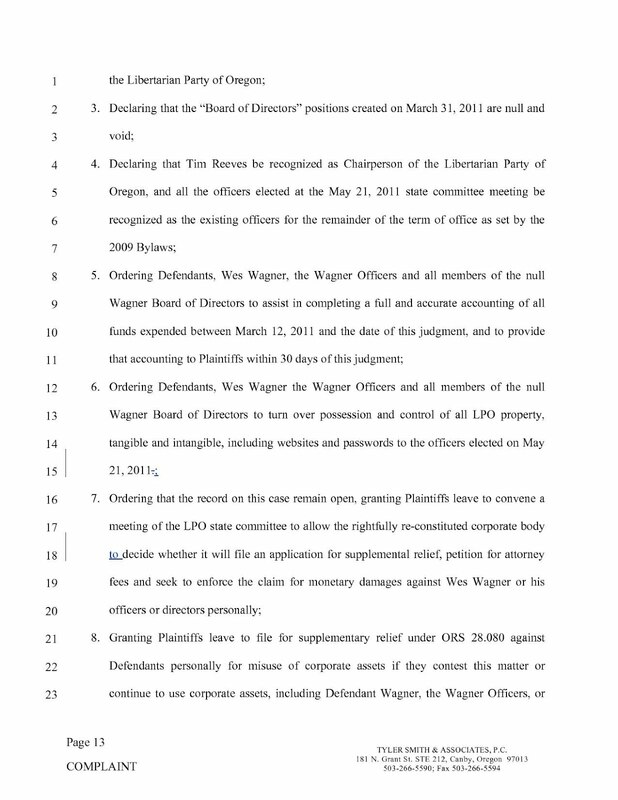 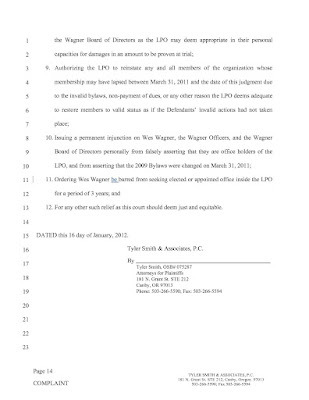 Tim Reeves, David Terry, M Carling, Greg Burnett and Richard Burke have filed a lawsuit against Wes Wagner and Libertarian Party of Oregon over the legal officers of the Libertarian Party of Oregon. 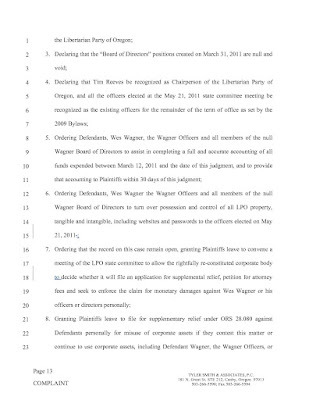 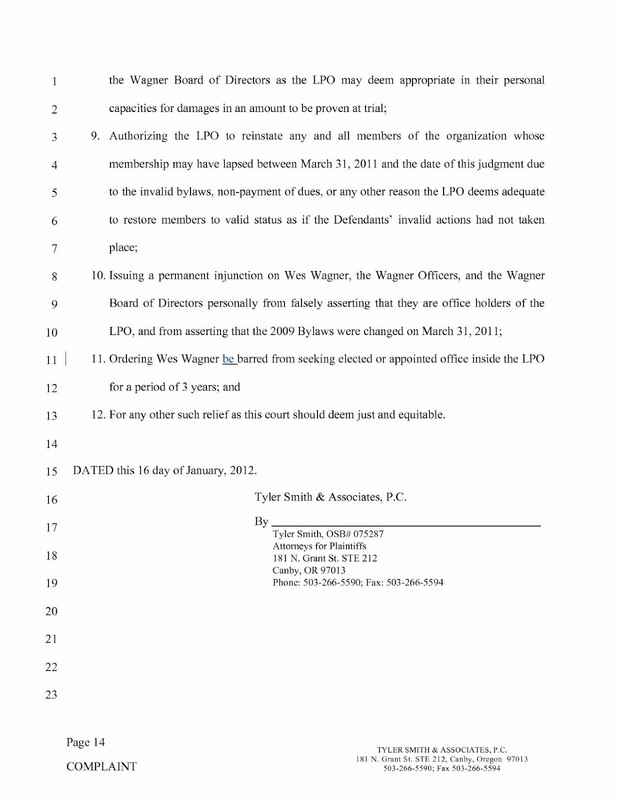 Below is the actual filing in the Oregon law suit. 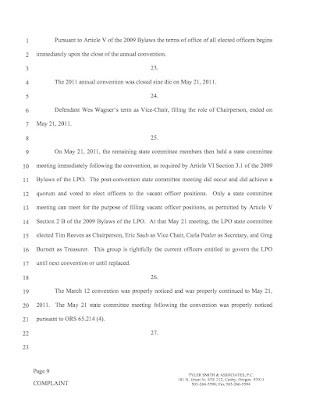 This document is public record. 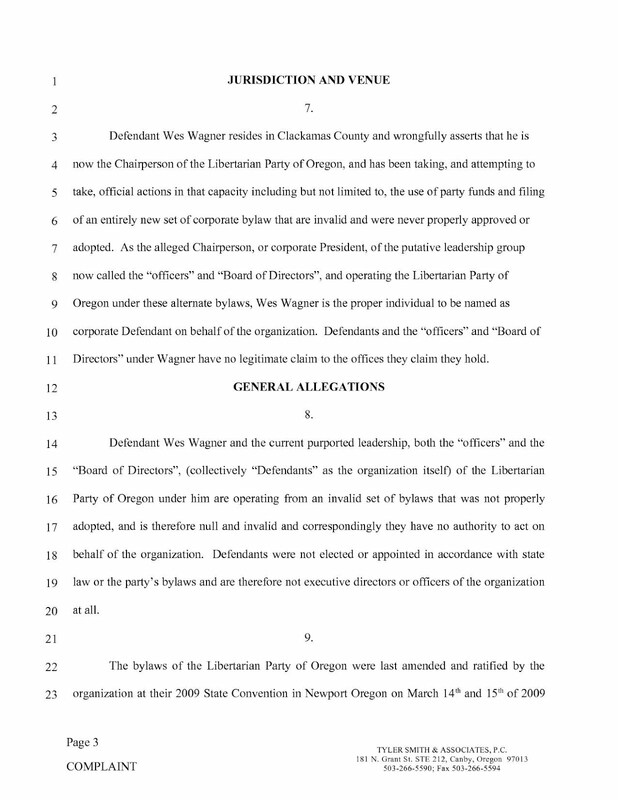 This entry was posted in Libertarian Party and tagged lawsuit, Libertarian Party of Oregon, mark rutherford, Wes Wagner on January 18, 2012 by Marc Montoni. 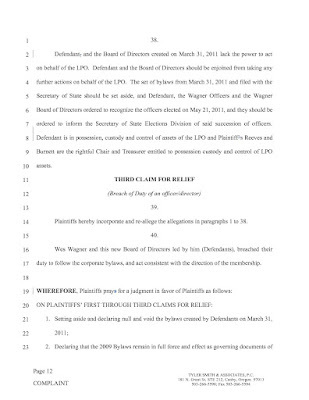 NASHVILLE – A Senate committee unanimously approved Tuesday a bill that would make it easier for third parties to be listed on Tennessee ballots and bring the state into compliance with a federal court ruling. 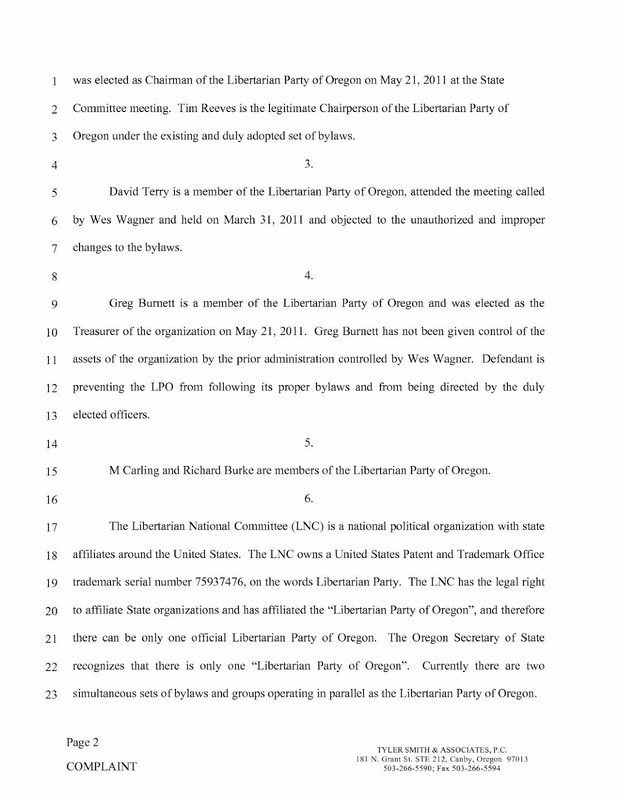 This entry was posted in Constitution Party, Green Party, Libertarian Party, Third parties, general and tagged ballot access, lawsuit, nashville, Tennessee, tennessee libertarians, william haynes on March 17, 2011 by Marc Montoni. 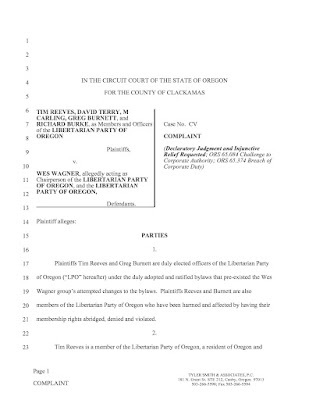 WASHINGTON – The Libertarian National Committee (LNC) is challenging certain aspects of the McCain-Feingold political speech restrictions in a new lawsuit filed today against the Federal Election Commission (FEC). 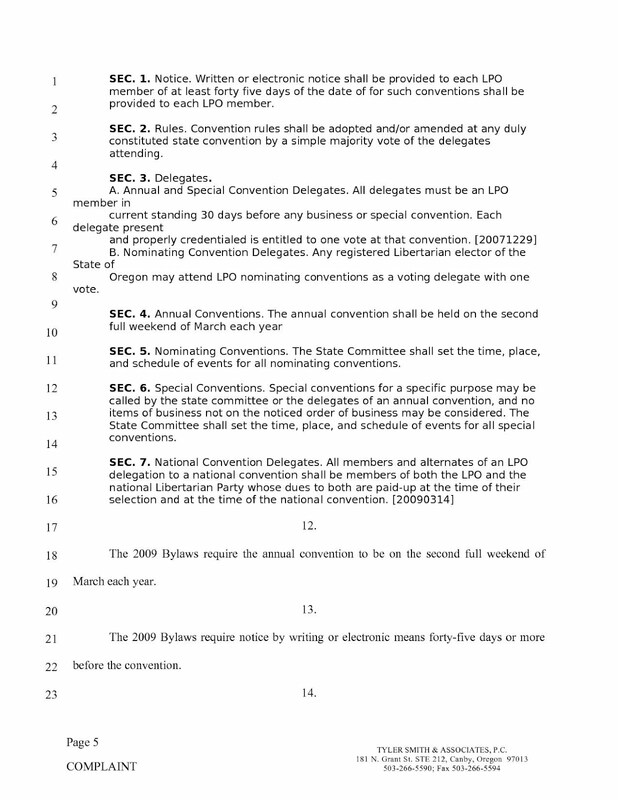 This entry was posted in Libertarian Party and tagged bequests, FEC, lawsuit, LNC on March 17, 2011 by paulie. 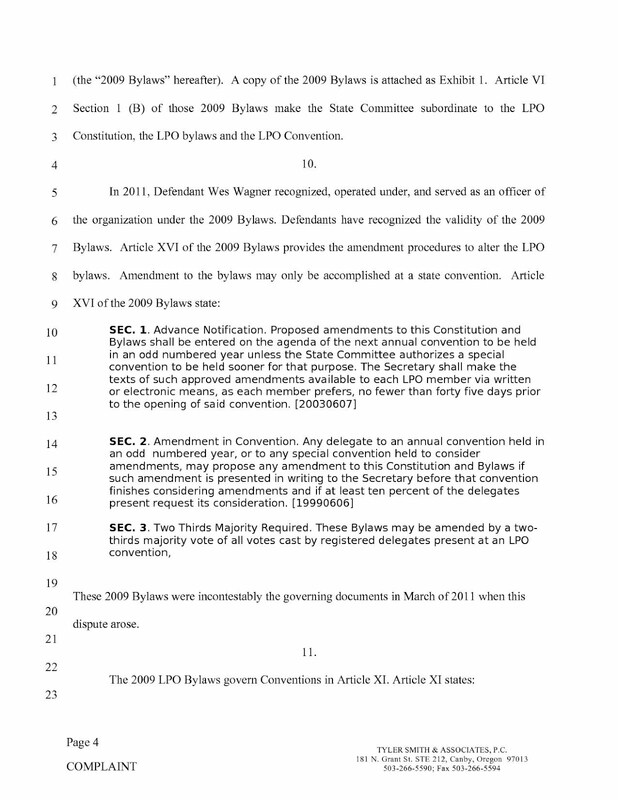 This entry was posted in Constitution Party, Right-wing minor parties and tagged Alan Keyes, American Independent Party, American Independent Party of California, ballot access, Ballot Access News, California, king vs. robinson, lawsuit, Secretary of State on March 10, 2011 by paulie. Warren Redlich, the Libertarian Party’s candidate for Governor of New York in the 2010 election, today filed a lawsuit in Albany County Supreme Court against the New York State Board of Elections, directing the state agency to cease ignoring votes cast for the Libertarian Party. 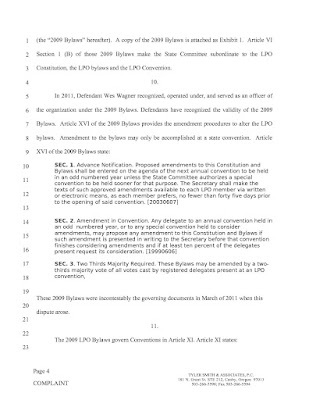 This entry was posted in Libertarian Party and tagged 2010 election, absentee ballots, Albany, ballot access, Ballot Access News, board of elections, Governor, independent candidates, lawsuit, mark axinn, New York, New York City, New York State, State Board of Elections, Supreme Court, warren redlich on March 9, 2011 by paulie. 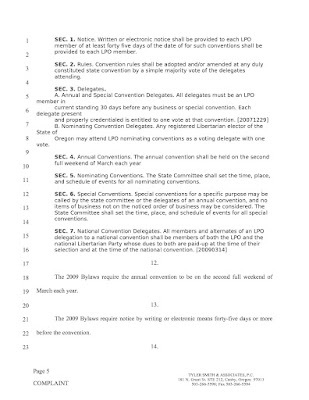 This entry was posted in Green Party, Socialist/left parties and tagged assembly, ballot access, Ballot Access News, California, California Assembly, filing fee, Jerry Brown, lawsuit, Peace and Freedom Party, Richard Winger, Sacramento, signatures, special election, state assembly on January 28, 2011 by paulie. 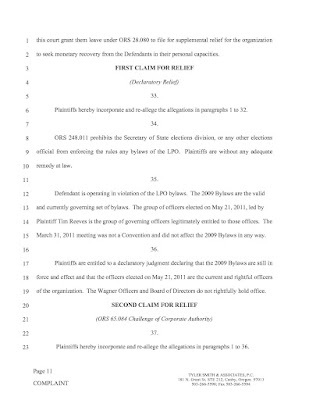 In Oklahoma, AP covers Libertarian Clark Duffe’s lawsuit against the two-party redistricting commission. 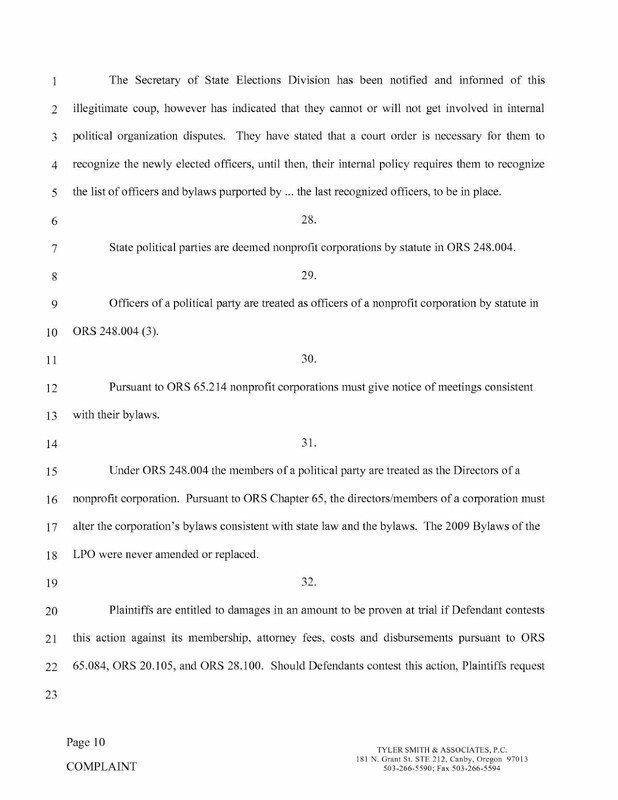 This entry was posted in Libertarian Party and tagged clark duffe, lawsuit, Oklahoma, Redistricting on January 25, 2011 by paulie.